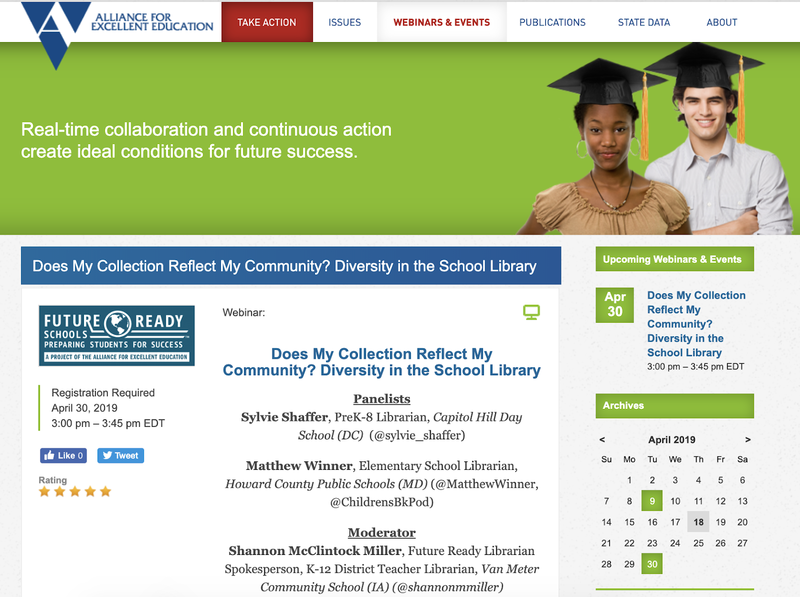 I am very excited to share our Future Ready Librarian webinar coming up on April 30, 2019 at 3:00pm EST. Does My Collection Reflect My Community? 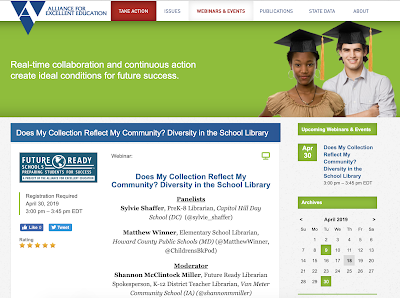 Diversity in the School Library with amazing schools librarians and friends, Sylvie Shaffer and Matthew Winner, is one that you will not want to miss. Panelists will discuss the value of maintaining a book collection that not only reflects the school community, but also is reflective of the global community of which we all are a part. Recognizing that centering diversity means centering the stories, experiences, and voices of historically marginalized people, including people of color, indigenous voices, LGBTQIA+ individuals and allies, differently-abled individuals, and neurodiverse voices. Culturally responsive library programs take into account not only the content and sensitivity of lessons and supporting materials, but also what items are being purchased for the collection, what materials are being displayed or recommended to the school community, what voices are invited into the school or library for author visits or artists in residence, and what impact the work taking place within the library has on the global community. What does “diverse” literature mean? What is the value of “own voices”? What would help dissolve your fear of being challenged for including a book in your library? Where do I start? How do I keep going? How do I question practices that I might have thought are best practices that may have revealed themselves to be hurting or marginalizing others? What is a diversity audit and how can information collected through a diversity audit inform future purchases for the library collection? What resources are available for becoming more aware of diverse books? What is the value of a diverse book collection to a class or school with a homogenous population? You can register for this free webinar here. If you can't attend at the scheduled time, a link will be sent you afterwards too. 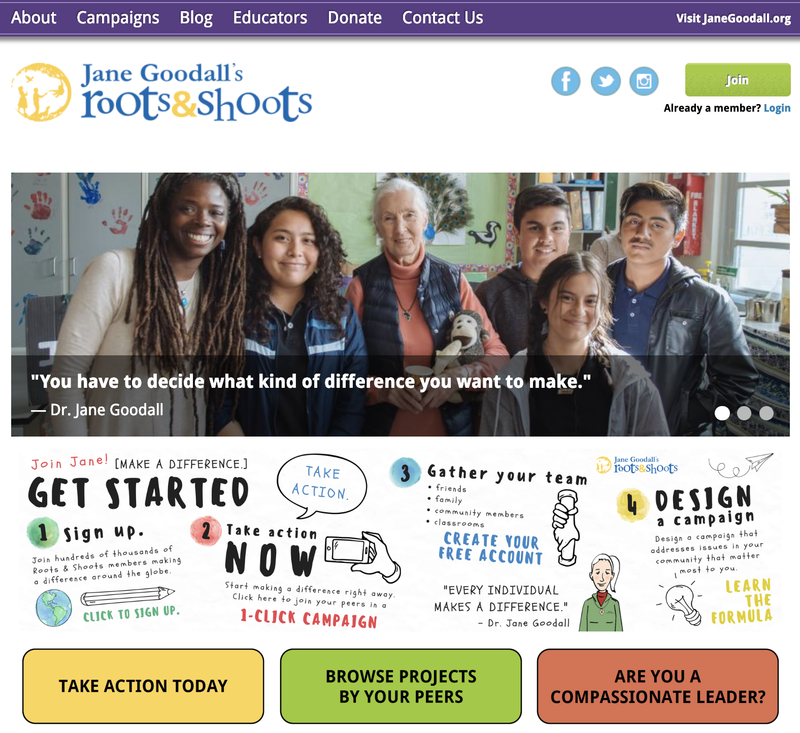 Skype in the Classroom and Microsoft hosted an amazing event with Dr. Jane Goodall on April 2nd and 9th. Inspire the next generation of conservationists to love and protect our planet in this free broadcast and live chat with Microsoft guest, Dr. Jane Goodall, the world- renowned primatologist and environmentalist. 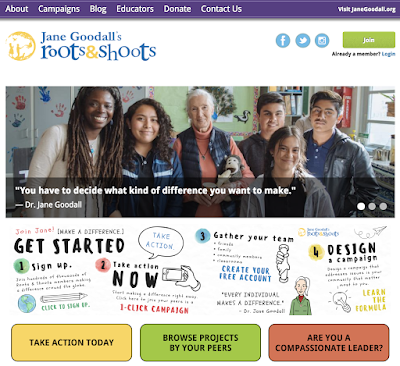 Dr. Jane Goodall will empower students to care about our planet and take action to make the world a better place for people, animals, and the environment. And now, we can watch this wonderful 15-minute event here with all of our children and communities. 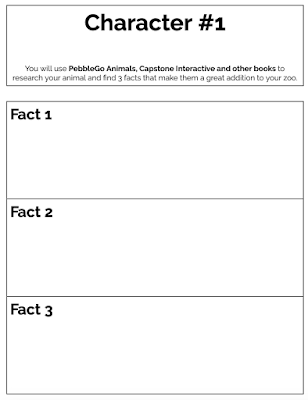 and an activity guide, certificate for students and letter for parents. 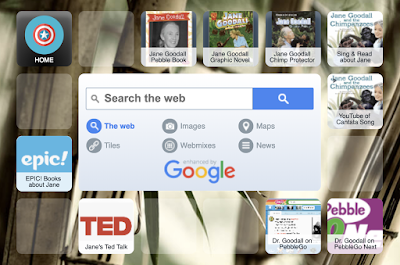 I put together a Symbaloo for our students, and for all of you, to use and explore. 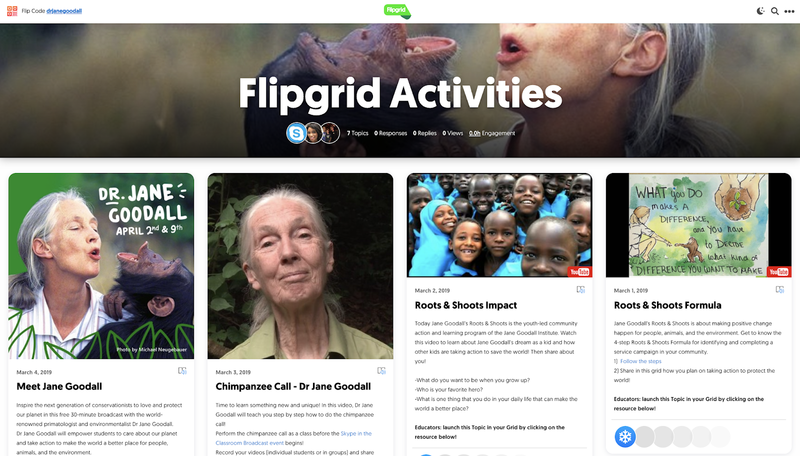 It includes PebbleGo and PebbleGo Next articles about Dr. Goodall, eBooks, the Cantata Learning story and song, a TEDTalk, EPIC! Books Collection and more. You will find the Dr. Jane Goodall Symbaloo here. This is such a special event and one you won't want to miss. Our First Graders Create Video Games With Bloxels About Their Zoo Animals! 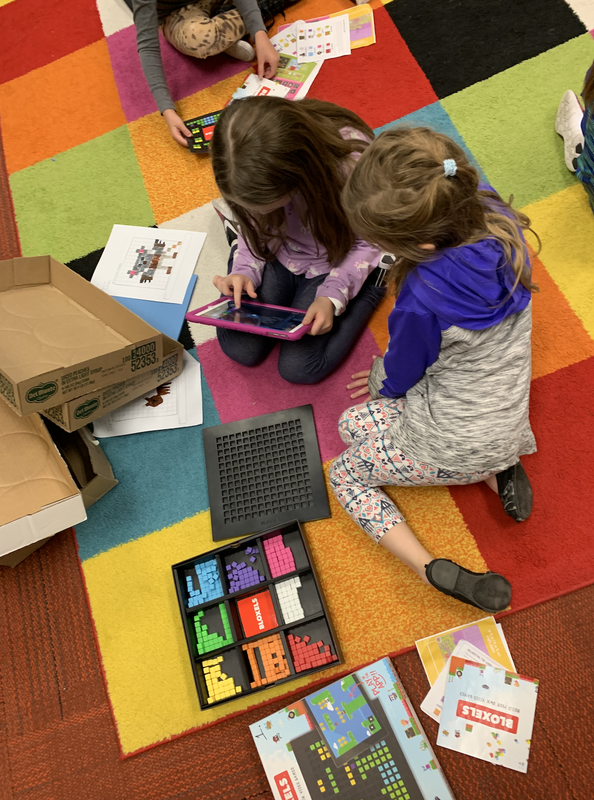 I have been working on a very special project with our 1st grade teachers, my library partner, Jessica, and our students. 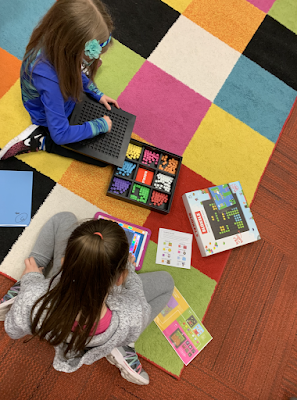 It all started with an idea while we were collaborating one day about using Bloxels to create video games with our 1st graders. 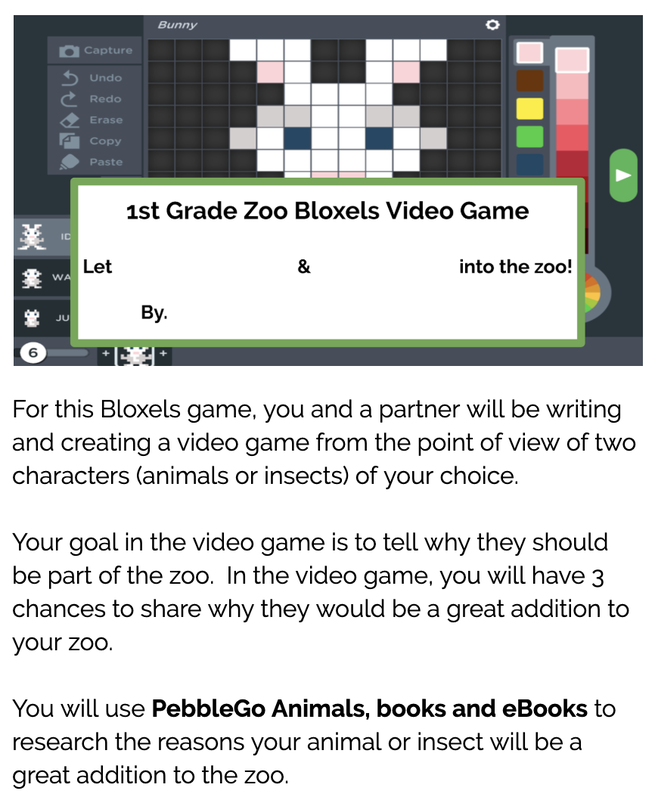 The teachers mentioned they were going to the Blank Part Zoo in Des Moines on an upcoming field trip, so we thought, Let's have them write and create a video game with a zoo theme. Together we then came up with the task. For this project, they would be writing and creating a video game from the point of view of two characters (animals or insects) of their choice. 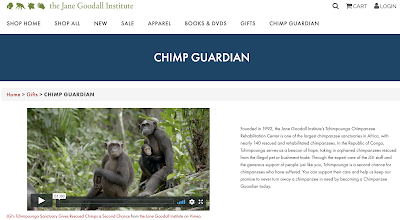 Their goal in the video game is to tell why these two characters should be part of the zoo. They will have 3 chances to share why they would be a great addition to the zoo. 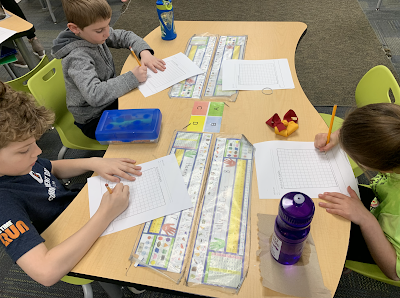 This was going to be so much fun for our first graders...and for us too! 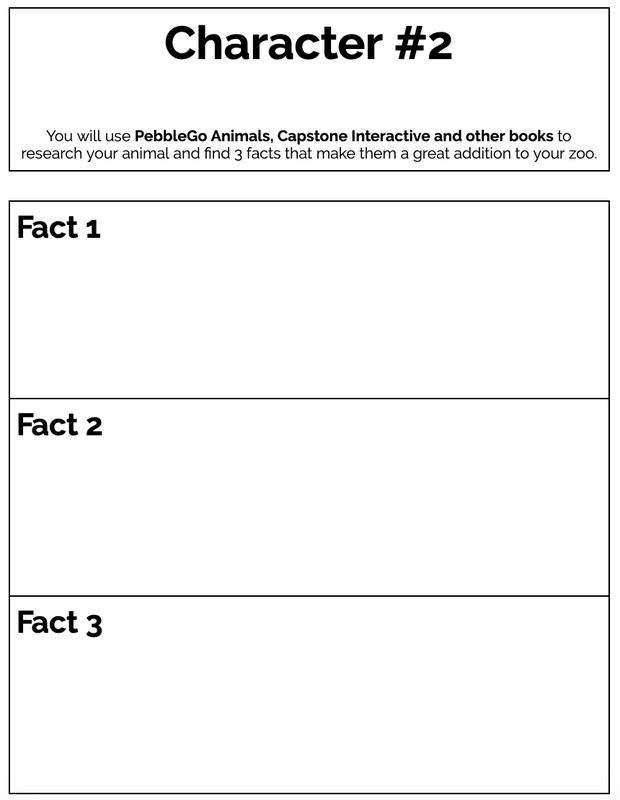 Before we started, we wanted to build some background knowledge and interest over a variety of animals. 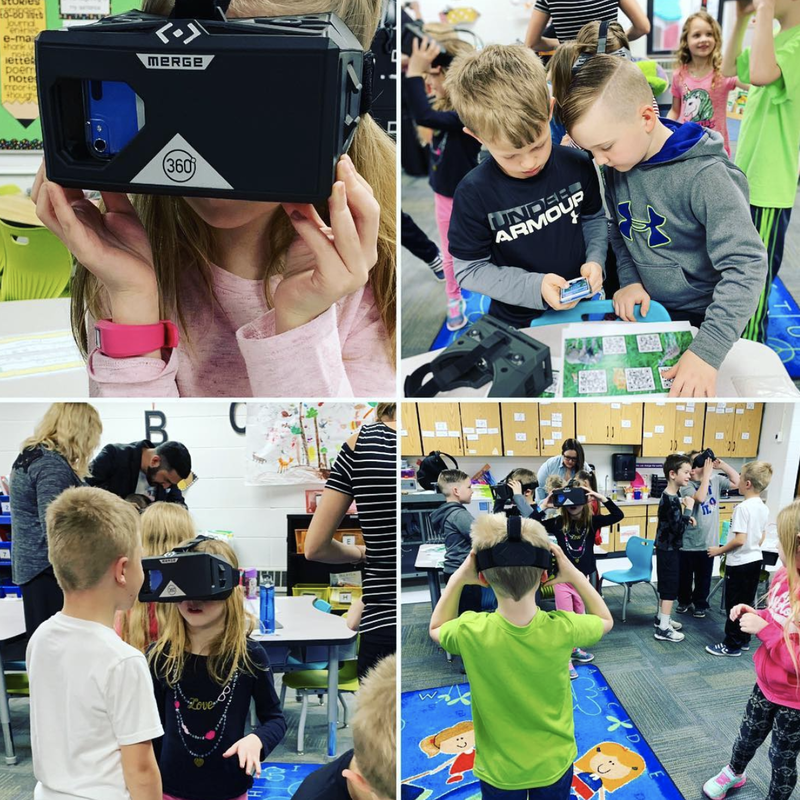 First, we took them on five virtual field trips using the MERGE headsets, iTouches and YouTube 360 videos of different animals and zoos around the world. 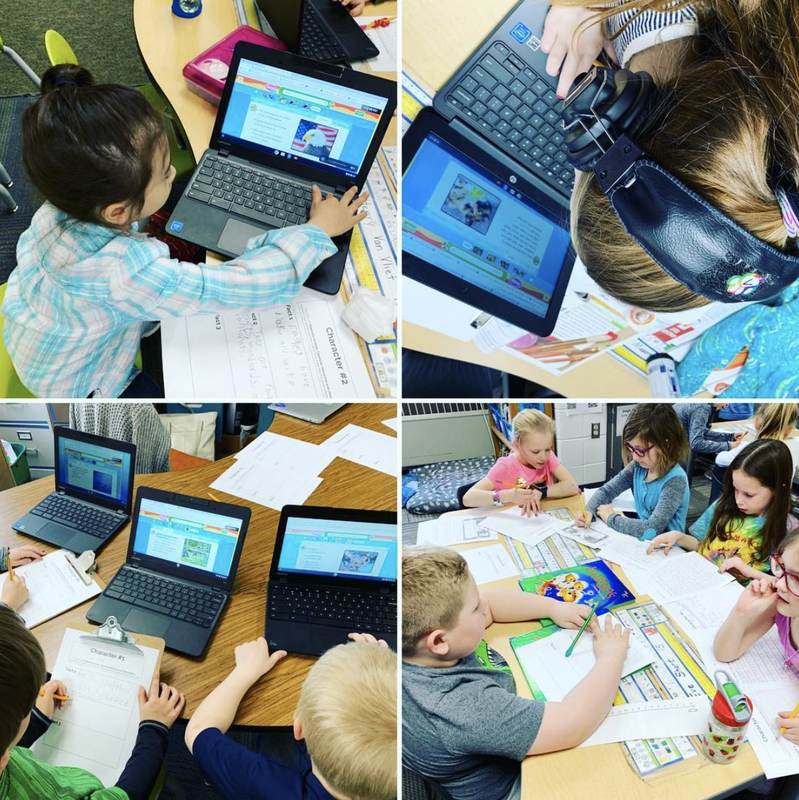 You will find the virtual reality field trips that we took to different zoo animals here in this Google Slide. 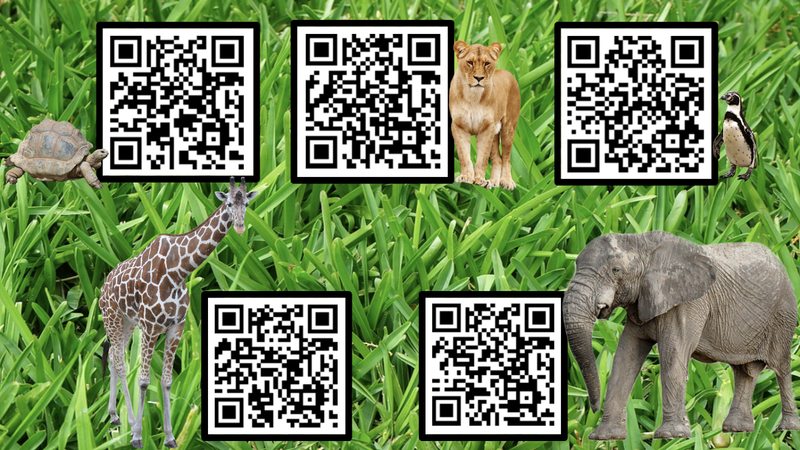 We projected this on the board and printed it off for our students to scan with their devices. 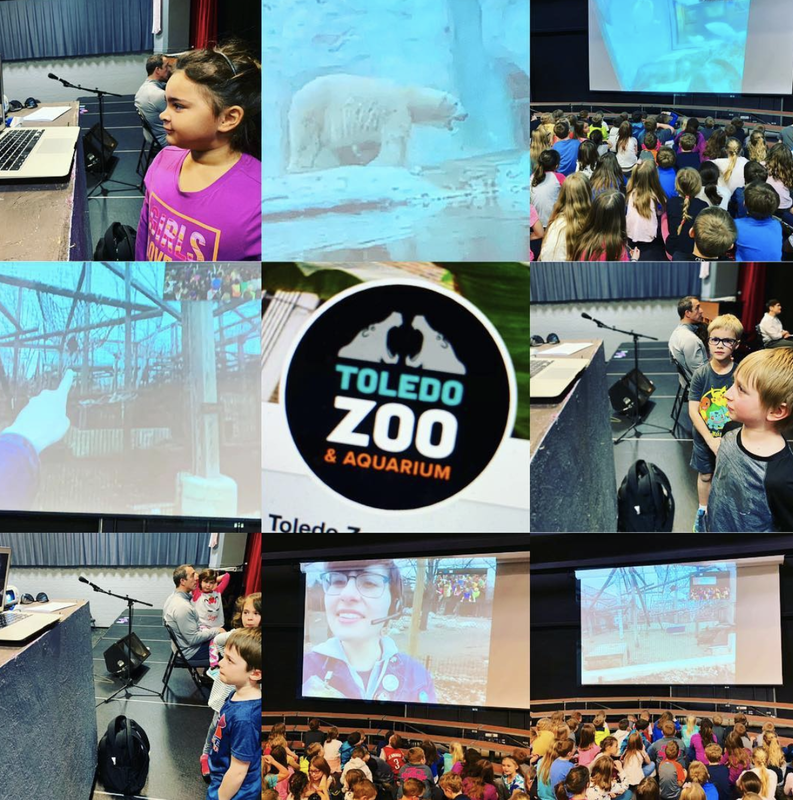 Second, we visited the Toledo Zoo and Aquarium virtually. It was awesome having a tour of the zoo and getting to see so many animals over Skype. 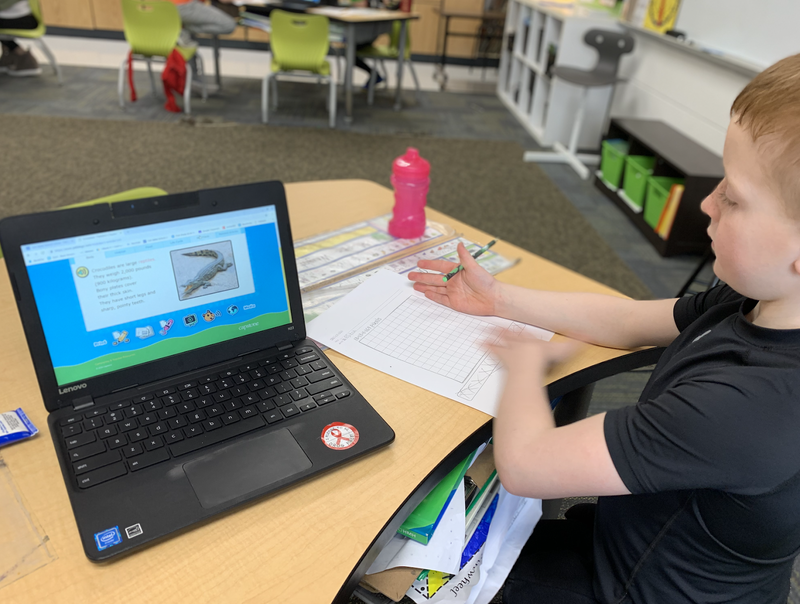 After seeing animals like a sting ray, jellyfish, red panda, monkey, bald eagle and polar bear, our first graders asked lots of terrific questions. 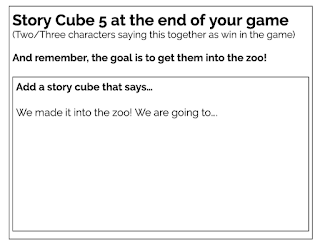 Next, we got the four classes together into two big groups so we could tell them about the Zoo Bloxels Video Game Project. They were super excited as we explained the project and showed them what we would be writing and creating over the next month in their classrooms and during their library rotation. 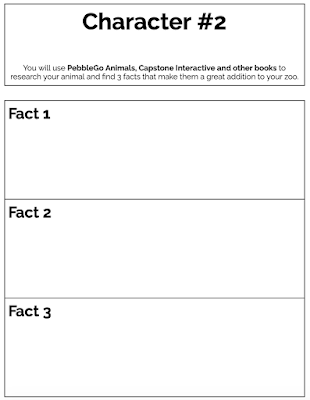 We talked about what online resources they could use as they researched their animals. 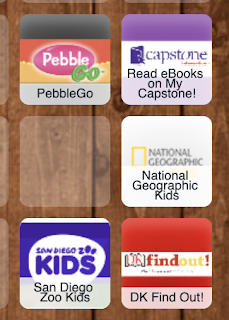 I put PebbleGo, our eBooks in Capstone Interactive, National Geographic Kids, San Diego Zoo Kids and DK Find Out together on the Van Meter First Grade Symbaloo so they could find these resources easily. 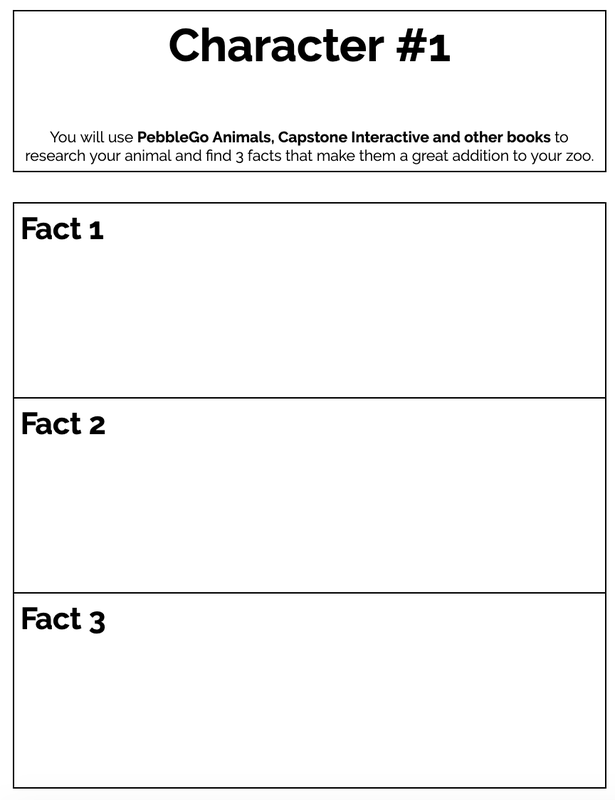 The first thing we had them do in the packet was for each student to research the animal or character they chose. 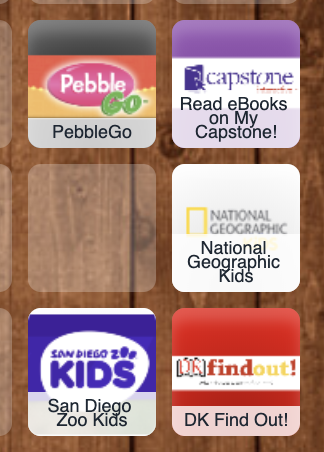 This is where they used the online resources such as PebbleGo. 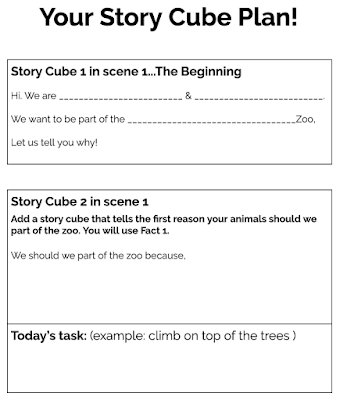 After the research on their two characters was complete, they wrote their story in the script that we laid out for them within the packet. 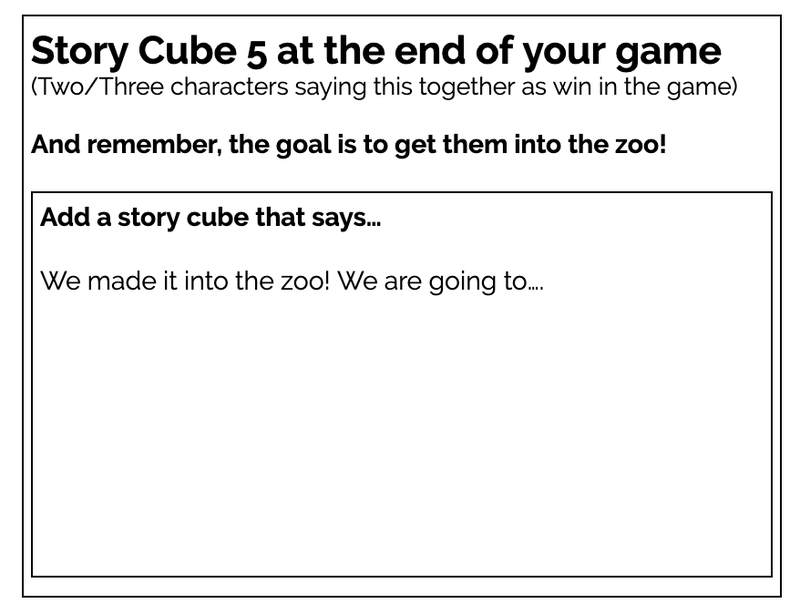 It is very important when creating with Bloxels that you talk to them about the Story Cubes in Bloxels, because this is where the information and story line will be added to the video game. 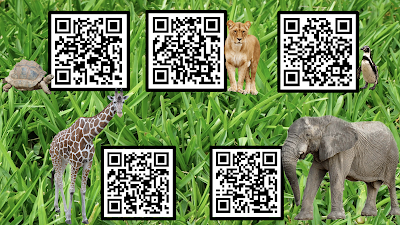 In this video game, they will have three parts or chances to share why their animals should be part of the zoo. 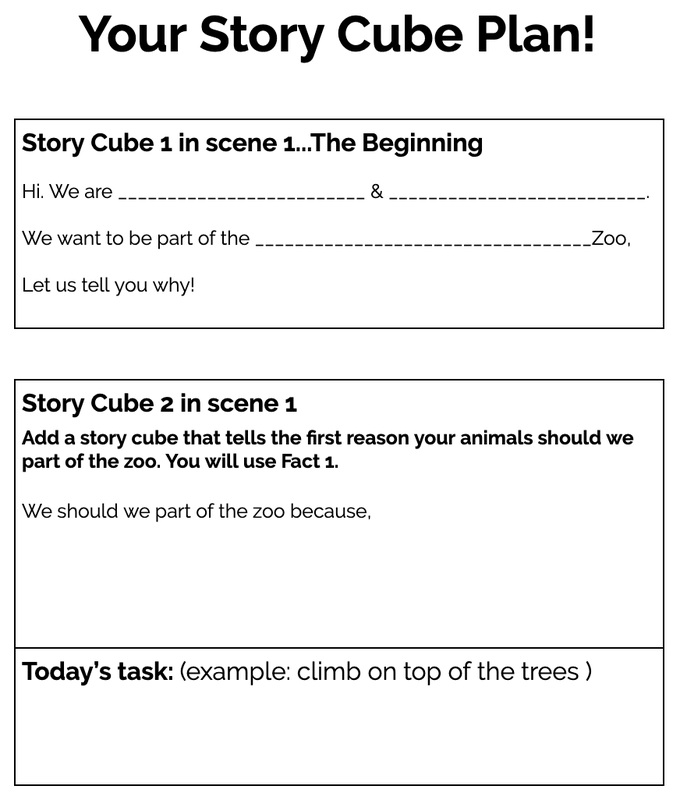 They will include an introduction and ending using the Story Cubes too. 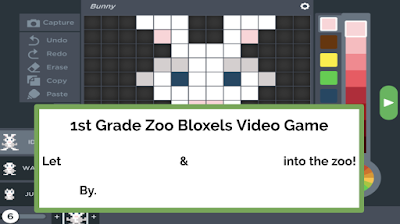 You will find the 1st Grade Zoo Bloxels Video Game packet here. 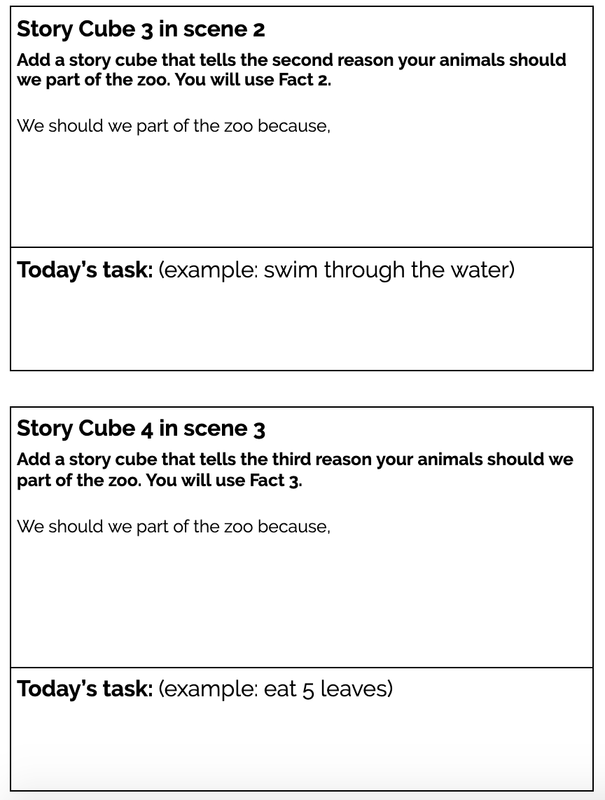 ...plan out their story for their Zoo Bloxels Video Game. 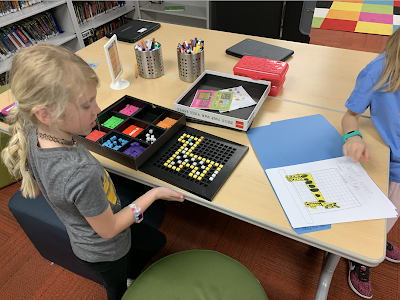 We invited our 2nd grade and 5th grade friends, who have created video games this year in Bloxels, to come to the 1st grade classrooms and show them how to use Bloxels. 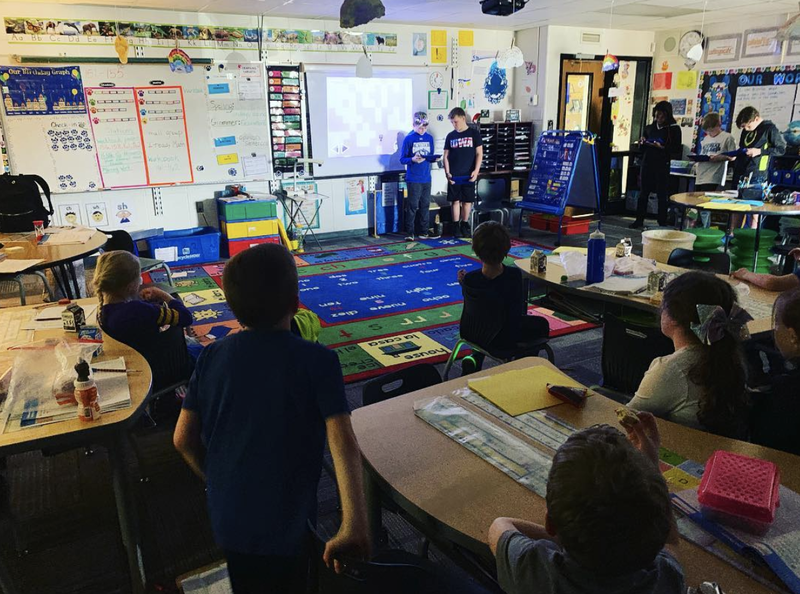 They even played a few of the video games they have created, which was super helpful for the 1st graders and their teachers to see. 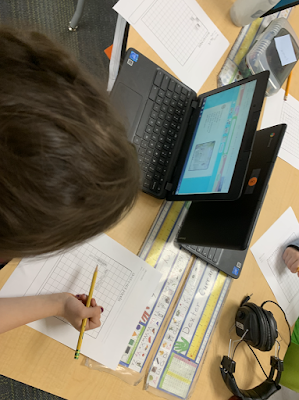 When the writing and drawing was complete, it was time to create their video games. They are going to be kicking off the creation of the video games during their week long library rotation throughout this month. 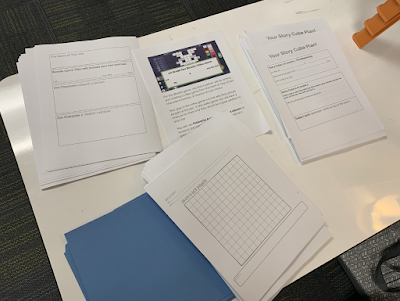 Jessica and I will help all four of the classes start their video games and I will go to their classrooms throughout the month to help them get them completed with their teachers. It was really neat watching Kelly Hagen's class start last week. art and backgrounds that would become part of the video games they would make. Here is an example of one where they have a chihuahua and koala bear as their two animals. 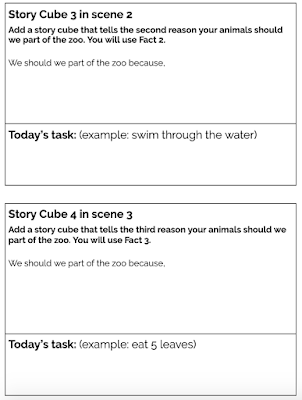 We worked on animating their characters as they stood, jumped and walked. This is one way they can include both characters and give their video game lots of movement and interest through the animation. 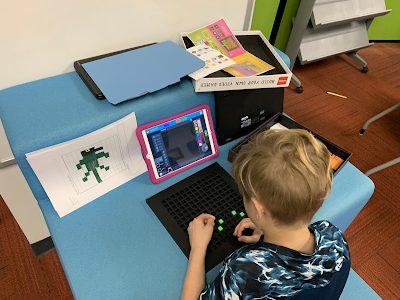 On Thursday and Friday, they started building their video games and bringing together the characters, art and backgrounds. I took a peak at this one today and just love seeing what they have included so far. After all of their video games are complete, we will be adding them to the Bloxels Arcade so they can play each others and share them with others around the world. We can't wait to see what they create and find out why their animals should be part of their zoo as we play their video games. We can't wait to share more with all of you soon!